So, your organization is about to design a new product, feature or service: a design ideation workshop is a great way to generate lots of ideas early in the process, bring your project team along and set direction. Design workshops have been in the UX toolkit for some time now and are an important part of the design process. #1: What do you know about your customers? We’ve all seen the dreaded demographic presentation with slides of faceless customer data and awkwardly defined “segments.” Such presentations don’t help designers understand the customer from a human point of view. For a productive rapid ideation workshop, you need everyone on the same page regarding whom you’re designing for. Kicking things off with an exercise discussing existing research and gaps in knowledge goes miles toward laying the foundation for relevant design ideas. As an agency, we find some clients know a great deal about their customers but many need help defining exactly who they should target. Prioritizing user groups is another key to this exercise. What do we know about their motivations, opinions, characteristics? What do they need from the experience? Who is most important, and who is secondary? #2: Who should attend the working session? There’s nothing worse than after weeks of design to be set back because someone’s input wasn’t heard early on. Be sure to invite a broad group to the table – executives, designers, developers, marketers, customer service representatives, anyone who can provide input. Think about who has strong opinions that need to be heard early. Who has a valuable perspective that perhaps isn’t typically included? It may appear logical not to bother individuals, like a lead developer, who won’t be engaged until the details are concrete, but their perspective is critical in the early stages. #3: What’s the competition doing? I’ll never forget the day my team sent an email to thousands of a client’s subscribers with a headline that we quickly learned was almost identical to a competitor’s slogan. After that day, we plastered the office with screenshots of every competitor’s home page and key communications. Knowing what’s happening in your client’s space is an essential part of ideation. It grounds you and challenges you to raise the bar. 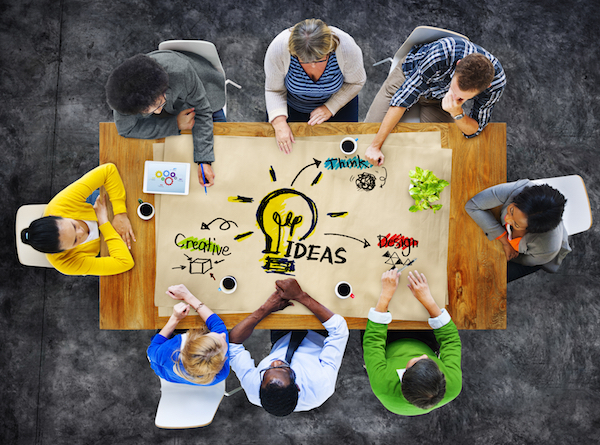 #4: How will you get participants to think creatively? Often, participants in a design ideation session fall into two groups: those with a strong perspective they want on the table, and those who are experts in what exists. Both types are well served by bringing examples outside the core business for discussion. Recently we held an ideation session with a client whose primary business is health insurance. We decided our target customers’ priority was finding the right health care plan for their individual situation. It’s valuable to look at other health plan seekers but also examples of consumers from related spaces, like retail. Such examples help participants move beyond pre-conceived ideas and makes them more receptive to new ideas. #5: Need blue sky thinking or something more targeted? There’s a time for blue-sky ideation. For example, you might want to brainstorm a lot of ideas around how to add more customer delight to your service. But oftentimes we need to operate within constraints, which create better design. Identifying constraints prevents your team from going “off the rails” into territory that not relevant. #6: How much time is required? Design ideation is a team activity but it can be challenging to line up whole-day working sessions with busy executives and even if you could, long meetings wear down the team. A solution is to break your workshop into several segments. Schedule several two-hour sessions, with breaks; or spread the session over a week. Just remember most people have other commitments so don’t expect to get an entire day of anyone’s time. #7: What format should your ideas take? Low-fi sketching is a good way to communicate ideas so we typically start engagements with sketch ideation based on the outcome of a requirements workshop. It’s fast and efficient to create sketches that generate many ideas quickly We generate as many ideas as possible, then winnow them down to a few core concepts which we present to the client. Their feedback is rolled into the next phase of the project. Other deliverables include: audience profiles, visual mood boards, a journey map, or a design pattern collection – whatever the team needs to envision the experience. #8: Who will produce the ideas? #9: How will you drive consensus? Once the design team has generated some great ideas, how do you get your broader team to align with them? Present: Quickly remind everyone of the goals, user needs and priorities. Quickly present ALL concepts to everyone. Listen: Structure the discussion to ensure everyone has an opportunity to weigh in on each concept. Guide: Driving a large group to narrow the options requires a facilitator with a strong grasp of the goals, user’s needs, the competition and constraints, but also someone who listens to everyone’s concerns. #10: How can we ensure ideas don’t “collect dust”? It’s important to show fidelity quickly once you have a basic direction. Take four to five days to create a final storyboard to show a cohesive vision of the planned design. The key is to take the results of the workshop and continue to building on them ASAP, while your broader team is still energized. 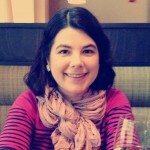 Diane Longmoor is the Director of User Experience for Fell Swoop – a digital design firm in Seattle. In seventeen years as a designer and researcher, she has created highly usable, engaging experiences for clients such as Condé Nast, Facebook, Harley-Davidson, Microsoft, and T-Mobile.